Shenzhen China has been getting some notice lately as a great place for makers who are building electronics. I recently had a chance to visit there, and it is truly an amazing place if you love electronics. You can buy lots of finished electronics (including name-brands as well as knock-offs), but what makes this place special is all the component vendors. My favorite spot was the two entire floors of LED lighting vendors in the mall located approximately here. 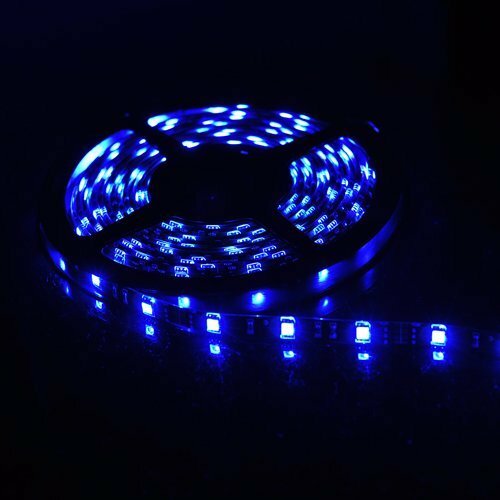 There was LED bulbs of all types, as well as ribbons of LEDs, christmas lights of all kinds, and all sorts LED controllers. Here is some of the goodies I came home with. 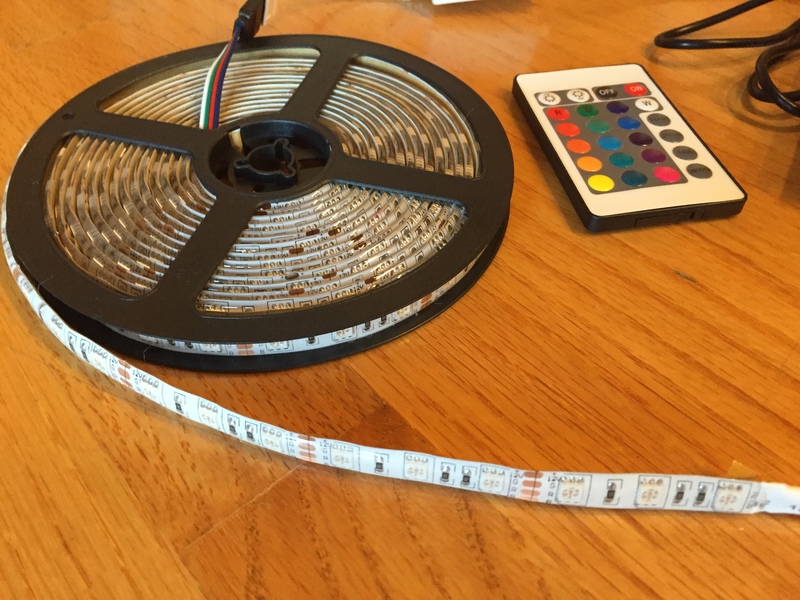 This is a 16.4ft long string of SMD LEDs that comes with a controller and remote that can change it to many different colors. This was the favorite item I picked up during this trip. It is sold at multiple kiosks, so it’s not a rare item, but it’s good quality and very fun to play with. It cost 65 RMB, which works out to about $10.50 US. (35 RMB for the 5 meters of rope, 30 RMB for the power supply and controller). I’m still trying to come up with a good project to use this in. 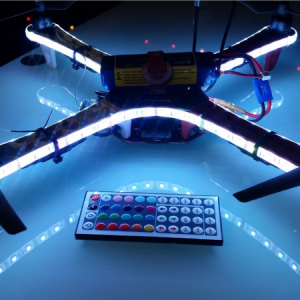 It seems to be used quite commonly in various maker projects on the web, like for lighting up this quadcopter. 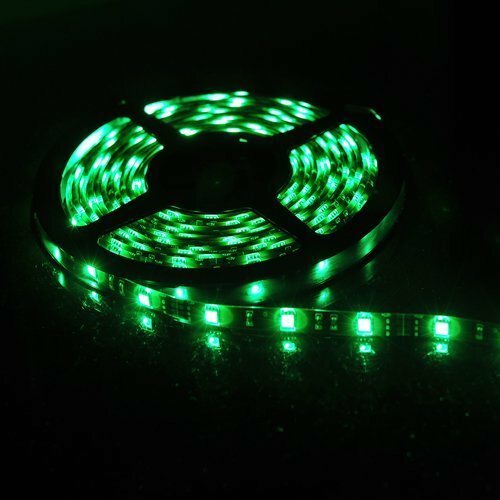 Like many items in this market, you can buy the LED Rope and Controller on Amazon also. This is an extremely bright three LED flashlight. If you’re a security guard looking for a flashlight that can be used to blind someone, then this is the place to come. There are many vendors selling an assortment of flashlights. I liked this one because it is extremely bright and has a very sturdy aluminum housing. 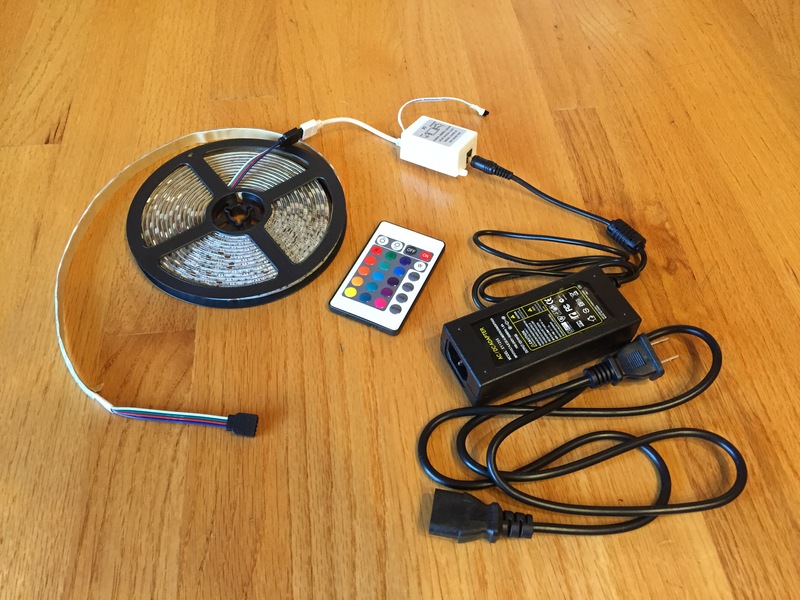 The brightness is impressive – this one has 3x LED chips but they actually sell a version with 7x or 10x LEDs. My retinas feel pained just imagining how bright it is. It runs off of 18650 Li-Ion batteries which I purchased with it as a set and came with a charger. Total cost was 160 RMB ($26). 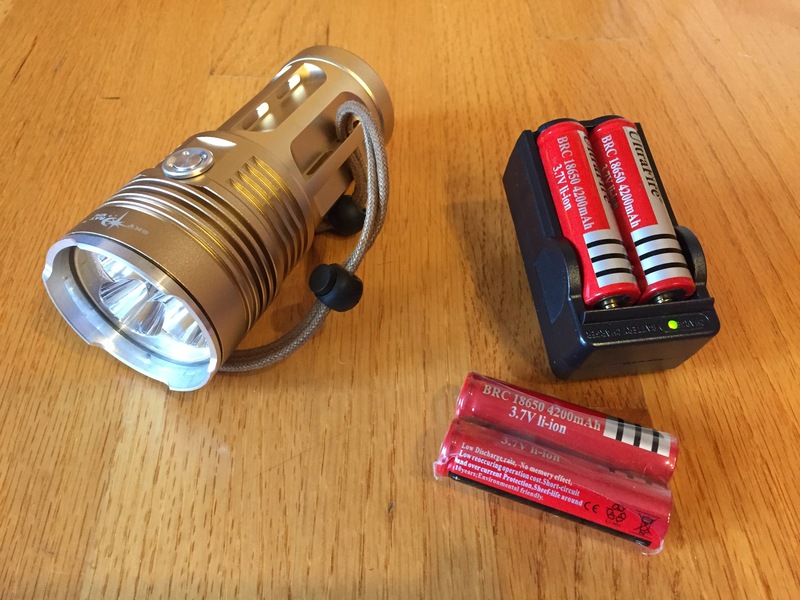 They sold me a set of 4 batteries, but it turns out the flashlight runs very happily with just 2, or 3 cells (they are all in connected parallel inside. 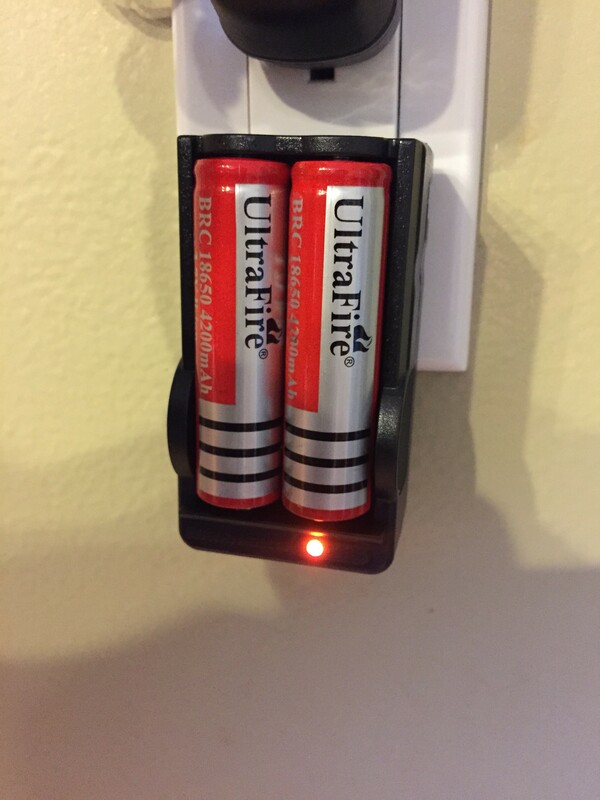 Charger for 18650 Li-Ion flashlight batteries. Yes, the batteries are really branded with the name Ultrafire. Is Ultrafire really the best name for a Li-Ion battery where the primary safety concern is that it could overheat and start a fire? It’s like naming an airplane BigCrash. The flashlight itself is made by a manufacturer called Skyray, and it is also sold on Amazon by various resellers. See my next post where I describe how all this stuff ends up for sale on Amazon. There is also a nice article in the June Make Magazine.